Micro insurance products could soon be sold by local grocery stores, public call offices (PCOs), fuel outlets and ration shops in rural areas. However, insurance sector officials also believe this would hamper the need-based sale objective. 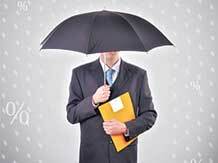 The Insurance Regulatory and Development Authority (Irda) has brought out a revised set of proposals on micro insurance products. Regional rural banks, micro finance institutions, district cooperative banks, non-government organisations, self-help groups, urban cooperative banks, banking correspondents and individual owners of kirana stores, PCOs, fuel outlets and ration shops will be allowed to sell these. “Getting agents to sell micro insurance products is a big challenge. Kirana shops and PCOs neither have the skills nor the expertise. This might do more damage than increasing the penetration,” said a senior executive in a life insurance company. Micro insurance refers to general or life insurance policies offering an assured sum of Rs 50,000 or less. The average size of this category is Rs 2,000-4,000 a policy. This is aimed at coverage for low-income households in rural areas. The regulator has proposed that all micro variable life insurance products shall have a lock-in period of five years from the date of inception of the policy. In this period, surrenders are not to be allowed but partial withdrawals may be permitted. Sector officials said for local personnel to distribute insurance, they will also need to undergo training. Currently, insurance agents need to undergo mandatory training of 50 hours. Licensing rules by Irda stipulate agents have to undergo 50 hours’ training for a basic licence and 75 hours’ training for composite licence. Insurance agents also have to undergo a 25-hour practical training to renew their licence, valid for three years. Composite agents will have to undergo practical training of 50 hours for renewing their licence. “Since agents undergo training and brokers have an eligibility criteria, the regulator should have similar criteria for shopkeepers and petrol pump owners selling insurance. Otherwise, there is no accountability for products sold,” said the chief executive of a private general insurer. Mis-selling is another concern. The chief distribution officer of a private life insurance company said mis-selling and other malpractices for sales was high and could be heightened by entry of newer intermediaries. “Retail store operators and small store owners might not be able to explain the product features or even understand the product themselves, mainly because they are in a different segment of business. However, there could be cases where they might push products to earn the extra income/commission. That is where the danger lies,” a senior broking official explained. In 2012-13, there were 341,012 registered life insurance complaints as compared to 309,613 for 2011-12. According to Irda’s Consumer Affairs Annual Booklet, the number of non-life insurance complaints dropped in the period. There were 78,927 registered non-life complaints for 2012-13, compared to 93,155 in 2011-12.